Lani Wong, Chair of NACA, has been at the forefront of community service and community leadership for nearly 30 years. She is a true pioneer in her vision and foresight in promoting U.S.-China relations, excellence in education, participation of Asian Americans in the American political process, and the importance of charitable organizations to serve the greater need of Atlanta community. Ms. Wong is a recognized community leader at the local, national, and international level. Internationally – In December 2007, she receive the first annual International Luminary Award from Global ExecWomen. In March 2007, she was one of only five U.S. citizens to be invited to attend the 5th Session of the 10th National Committee of the Chinese People’s Political Consultative Conference as a nonvoting delegate. In 2004, the Chinese government reappointed Ms. Wong as Advisor to the 7th National Congress of All China Federation of Return Oversea Chinese. In 1997, she served as an attaché during the Centennial Olympic Game. Also in 1997, she was invited to attend the Hong Kong handover ceremony. She is Executive Board member of the International Women Forum of Georgia. She has served as hostess to many Chinese Ambassadors, Consul Generals, business and cultural delegations when they visit Georgia. Nationally – In April of 2006, Ms. Wong received a special invitation to attend several functions during Chinese President Hu’s visit to the White House. In 1987, she was invited to a White House briefing for policy on Asian American Affairs. She participated in a forum counseling President Clinton on USA-China policies. Ms. Wong is a member of the National Committee on United States-China Relations. 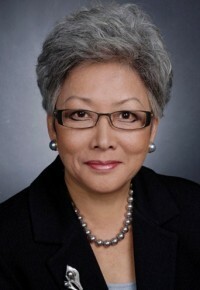 Locally –The National Organization of Black Elected Legislative/Women name Ms. Wong as one of the 08 Georgia Women Pioneer, she was voted twice by Georgia Asian Time in 2006 and 2007 as one of the 25 most influential Asian Americans. In 2006, she was named one of the Who’s Who of Asian Americans in Georgia. In 2006, Ms. Wong accompanied Mayor Shirley Franklin on her China Mission trip organized by the Metro Atlanta Chamber of Commerce. In 2005, Ms. Wong received the Highest Phoenix Award from Mayor Franklin. Ms. Wong was appointed by Governor Purdue to the Asian American Commission for a New Georgia. She was also appointed by Governor Roy Barnes to the Human Relation Commission, as Chair of the Georgia Commission on Asian American Affairs, and by Mayor Shirley Franklin to the Atlanta Advisory Commission. Ms. Wong has served on the Leadership Atlanta Foundation Board of Trustees for the past 3 years. She served on Public Broadcasting of Atlanta Board of Directors, and was a member of the Presidential Search Committee for the new President of Georgia Perimeter College. She served 3 years as the member of the Coca-Cola Scholars National Selection Committee. Currently, she serves on Saint Joseph’s Hospital Mercy Care Service Board of Directors, Delta Air Lines Diversity Board of Curators, Georgia Perimeter College Foundation Board of Trustees. Metro Atlanta Chamber of Commerce, Global Business Council, Atlanta Women’s Foundation Board of Director, Charter Board of Director of the Georgia Women’s Institute and the Sheltering Arm Teaching Center Board of Director.